Project Management tools can make your life so much easier, but with so many available how do you choose the right ones? Luckily we're here to help you out. Being a project manager could be likened to being a plate spinner in a circus act - you’re constantly keeping an eye on separate moving parts and making sure that they’re all going at the right pace. How do project managers ensure all these moving parts are organised into one clear plan? They use the best project management tools they can get their hands on. Gone are the days of pen, notepads and post-it notes: technology has blessed us with a plethora of solutions to help you manage your team and deliver your project successfully. Here are 6 of our favourites. 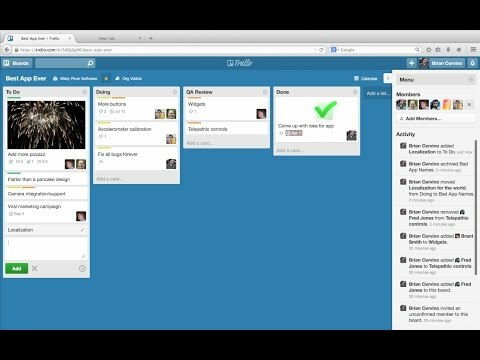 The great thing about Trello is its simplicity. It’s very straightforward and the visual format makes it really appealing to use. Every project you have is represented by a board that contains a set of lists. You can name these lists whatever you like, but a good starting point is to stick with the pre-set options of ‘To Do’, ‘Doing’ and ‘Done’. You can fill your lists with drag-and-drop cards dedicated to the specific tasks or responsibilities of your projects. These have handy features such as writing comments, tagging people, adding attachments, notes, due dates, labels and checklists. These features make tracking the progress of your projects easy to see at a glance - we’re so impressed with it at ICS Learn that we use it ourselves! The humble to-do list is still the king of many a project team’s resources - Asana takes this knowledge and runs with it, allowing you to create the ultimate to-do lists. You can assign team members tasks from your list, rank them by priority and view their progress status. You can create sub-lists within each task, attach files, notes, tags and comments. Another great feature of Asana is that it allows you to see your project’s progress in multiple views. You can stick with the to-do list or switch to the Calendar view to get a look at your due dates. You can now create a Timeline view which allows you to see where you’re at with the different phases of the project and plan for what the next steps are. These different views are great for seeing the big picture and will let you easily spot gaps or overlaps in your schedule. Are you the type of person who gets random bursts of inspiration? If so, Google Keep will save you from frantically running around for a pen or having a tonne of Sticky Notes across your desktop. It allows you to quickly save all your ideas and reminders as notes which you can view as lists, add images and audio to and easily share with your contacts. It’s perfect if your project has you working on-the-go a lot and you can even set up location-based reminders which alert you arrive at your destination - so handy if you need to run through a quick checklist before a big meeting. You can even simultaneously use it for personal use as the colour coding feature means you can easily identify what’s a work note and what’s a personal note, helping you never forget to pick up milk on the way home again! So, technically Slack isn’t a project management tool, but we do feel it deserves a place on this list nonetheless. You’ll no doubt already know that good communication is essential to be a good project manager so a tool that pulls together all your communication into one location is certainly worthwhile. In place of never-ending email chains, Slack provides Channels each with their own topic of conversation to keep things focused. These have a searchable history, so you can easily go back and find the exact information you’re looking for. You can even bring in people who work outside your organisation, so if you have clients or suppliers that you’re in frequent contact with you needn’t stick to emails and phone calls. 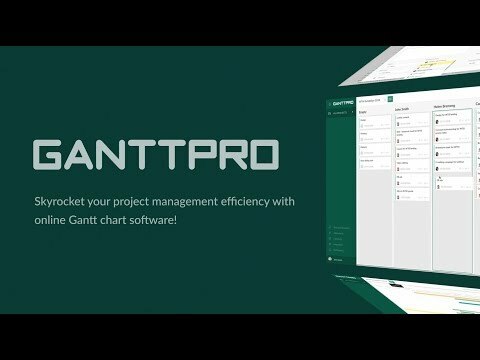 Gantt charts have long been a staple in project management and GanttPRO allows you to create online versions to ensure your project stays on track. It comes with a selection of ready-made templates which can be easily customised to suit your needs. The templates are themed and cover a wide range of projects such as product launches, event planning and web design so it’s highly likely you’ll find one for your specific project. These charts come with software that will really help you out with resource planning. You can add in the costs of all your resources (including your people) and GanttPRO will calculate everything for you making it really easy to see if you’re sticking within budget. Tick Tick is a little bit like Trello and Asana in that it’s all about the to-do list, however, it offers a few interesting features which set it apart from the competition. The first of these is that it integrates with so many other applications in including 3rd party calendars and emails. It even integrates with Apple’s Siri, so you can use this to create tasks without even opening it up. You can also add multiple reminders to tasks to ensure nothing gets missed and, like Google Keep, these can be triggered by setting up a location-based alert. It’s available across a huge number of devices so you can keep track of your tasks everywhere. There have never been so many tools available to help you and your team out with the delivery of projects and we'd definitely recommend that you make the most of them. Just make sure you go with what works best for your team - take some time and ask for their feedback, then reap the benefits these tools have to offer! Looking to develop your team's skills? Check out our 100% online PRINCE2 project management courses.